Large Preprinted Register Forms 15815 At Print EZ. Large Preprinted Register Forms Item No. 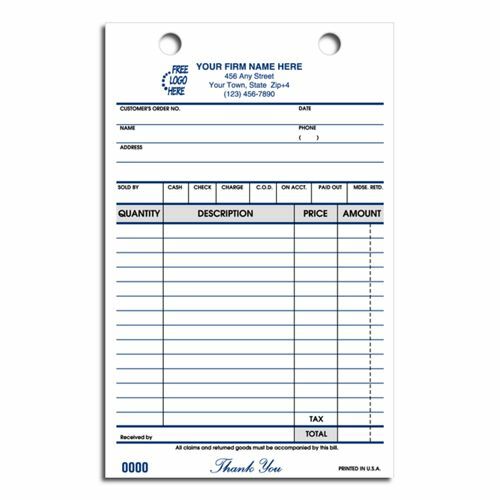 15815 Size: 4 5/32" x 13/16"
Our large preprinted register forms will help to solve all your filling and data entry hassles. Designed especially for lengthy sales, these forms fit perfectly into large registers. Their format is so precisely laid out that one look at the form is all you need in order to collect all the data regarding the sale, be it the customer’s details, the mode of payment or the number of items sold. The punching holes and consecutive numbering features ensure that filling the form or locating it later is not a problem at all. All of this combined with the option of having your own personal message printed on the form, makes them a favorite with many of your customers.